After Separating From Husband Of Nine Years, YouTuber Jaclyn Hill Is Dating Someone-Who Is Her New Boyfriend? 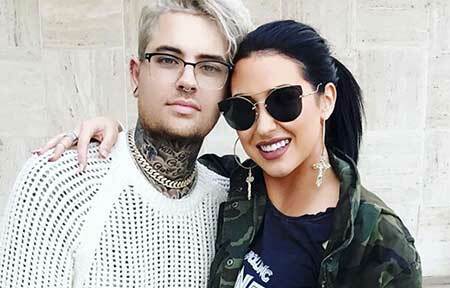 Home Article After Separating From Husband Of Nine Years, YouTuber Jaclyn Hill Is Dating Someone-Who Is Her New Boyfriend? It's hard asking someone with a broken heart to fall in love again but we all know that 'LOVE' is a wonderful feeling. 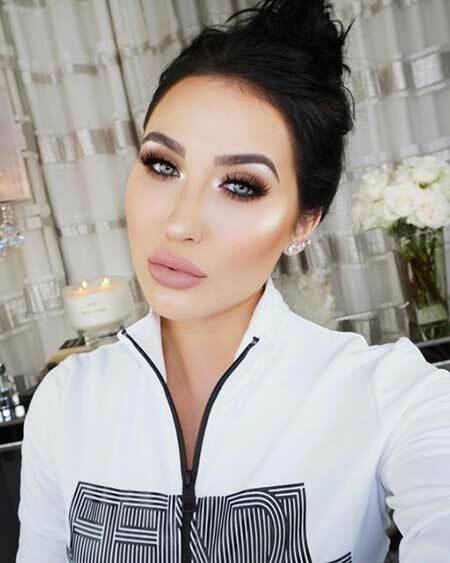 It would have definitely been tough for American YouTube personality Jaclyn Hill to move on from a troubled relationship. She stunned her fans when she announced her divorce with her husband Jon Hill in May 2018. It's hard asking someone with a broken heart to fall in love again but we all know that 'LOVE' is a wonderful feeling and it deserves a second chance. 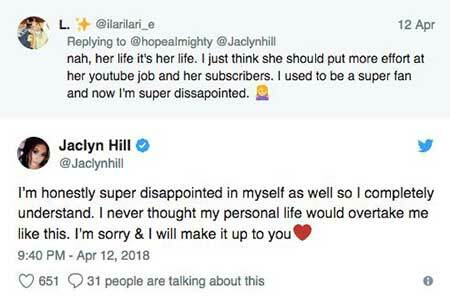 It would have definitely been tough for American YouTube personality Jaclyn Hill to move on from a troubled relationship. She stunned her fans when she announced her divorce with her husband Jon Hill in May 2018. Well, it's time for her to move on in her romantic life. Is she dating someone at present or still taking some time for herself? Let's find out. Jaclyn Hill; Is She Dating Someone Special? It's been months since Jaclyn Hill divorced her husband Jon Hill due to some personal stresses and it seems that she has found a new man for her. "Falling in love is the most incredible & terrifying feeling all at once." Her relationship status is no more a mystery as she posted a cute picture of her hand on top of a mystery man with three heart emojis back in September 2018. The identity of her new boyfriend is still kept private as she once mentioned that she tends to keep her romantic life as "private as possble". Also See: Are YouTuber Zoe Sugg and Alfie Deyes married? Despite her attempt to keep things private, some gossip mongers reported that he's a Tampa-based man named Farnum. Hill and Farnum are dating and so serious in their relationship. It might be because of her affair with Farnum she's receiving backlashing from her fans about cheating her former husband being with her current boyfriend. Honestly, I have kept my mouth shut for so long about my divorce because it’s no ones damn business. But calling me a cheater could not be further from the truth & its’s hurtful. You’ve got the wrong one. It seems she's head over heels with her new man. We wish to know more about the mystery man in the following days. 2018 was one of the most challenging years of my life. But I learned there is a light at the end of every tunnel, even the darkest ones. I’m so thankful for what this year taught me & so grateful for everyone in my life right now (especially my therapist) no really, God sent me an angel this year you guys! I can not wait to start a new year with him! She's definitely planning something special with the new guy with the arrival of new year 2019. Let's see what's on the way! After months of speculations, it's finally confirmed that YouTube beauty guru Jaclyn Hill and her husband Jon Hill separated with an official divorce after nine years of marriage. She confirmed the news via Instagram posts. Jaclyn and Jon released separate statements in their respective posts announcing their so-called amicable split. "After almost 9 years of marriage, Jon and I have decided to divorce. Although this has been one of the hardest decisions of our lives, I know it's what is best for both of us. I will always have love for him, and I am so grateful for all the good times shared together." "My heart is broken by this, but I still believe in love and believe everyone has a chance for a happy ending. Thank you so much for your love and support towards both of us." Her ex-husband Jon also shared the same message on his Instagram account. The former couple who tied the knot in August 2009 spread divorce rumors for months as Jaclyn kept on posting cryptic tweets about her personal disturbance. When Jon stopped appearing in Jaclyn's videos for a long time their fans were so sure that the outcome would be something heartbreaking. You May Also Like: Are Youtube star Michelle Phan and her partner Dominique Capraro in a relationship? There's no chance for Hill to be back with her former love as she's definitely found someone special made for her. Born on 20 July 1990 in Illinois, United States. She migrated to Tampa, Florida with her family as her father decided to become an evangelist. She cut off the relationship with her father after her parents divorced in 2012. She was homeschooled during his childhood days. She studied photography in Sarasota, Florida. Previously, she worked as a freelance makeup artist and at a MAC Cosmetics. She uploaded a YouTube video with Kim Kardashian entitled "Get Ready with Me & Kim Kardashian" that became one of the most popular videos. She collaborated with beauty brands Morphe and BECCA and sold $10.7 million and $12.2 million in EMVs respectively.